The court is open Monday through Friday from 8 a.m. to 5 p.m. except for holidays. 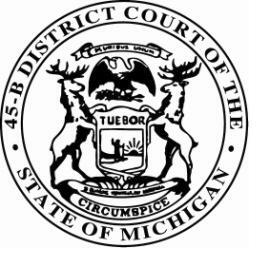 The 45th District Court encompasses the Charter Township of Royal Oak, and the Cities of Huntington Woods, Oak Park, and Pleasant Ridge. 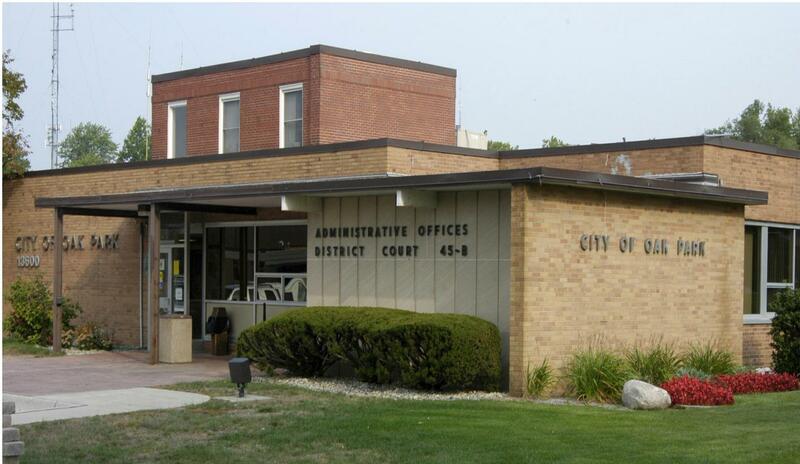 The 45th District Court is served by two elected judges and two appointed magistrates, with daily operations directed by Court Administrator Nancy Waldmann. criminal misdemeanors where punishment does not exceed one year imprisonment at a county jail. felony cases-where punishment exceeds one year of imprisonment. The district court only handles arraignments, setting/accepting bail, and preliminary examinations on felony cases. Administration: Responsible for administrative management of all non-judicial functions of the court, including: personnel, fiscal management, juror coordination, and case flow. Misdemeanor/ Felony Division: Responsible for the processing, scheduling, and noticing for all misdemeanor and felony offenses. Civil Infraction/ Parking Division:Responsible for the processing, scheduling, and noticing for all civil infractions and parking violations. Probation Department: Responsible for the supervision, monitoring, and referral of defendants placed on probation, as well as conducting substance abuse assessments and pre-sentence investigations.